Mrs. Bridget Bilbray-Phillips is the Executive Director of Doral Academy of Nevada. Doral Academy, an arts integrated charter school, opened its doors in August of 2013 with Mrs. Phillips as the founding principal. The second Doral campus opened in Mountain’s Edge in August of 2014, the third Doral Campus opened in the northwest area of the valley in August 2015, our fourth campus opened in the Summerlin area in August of 2016. Our fifth campus will be opening in southwest Las Vegas in August of 2017. Bridget was formerly the Director of the School-Community Partnership Program for the Clark County School District for six years. 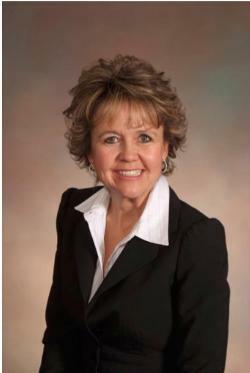 In this position she was responsible for connecting business and community resources to Clark County School District schools. In this role she developed partnerships with non-profit community organizations such as Three Square, Communities In Schools, and Ronald McDonald House Charities. Bridget received an undergraduate degree in Elementary Education from University of Arizona. She earned a graduate degree in School Administration from University of Nevada, Las Vegas. Bridget began teaching in a private school in Las Vegas in 1982. She started teaching for the Clark County School District in 1985. During her time in the Clark County School District she worked as a Curriculum Specialist, Assistant Principal, Principal, and Director. As Principal, she was awarded the PTA Lynel Cunningham Site Administrator Award and was one of three finalists submitted to the State of Nevada as the Elementary National Distinguished Principal. She was a 2010 recipient of President Obama’s HOPE Award for Education. Bridget was recognized by the Latin Chamber of Commerce for her support of youth and education programs in 2011.